← The bus ride home. What book is Lincoln holding? This photo was taken February 5, 1865 in Washington DC, in the studio a photographer Alexander Gardner. I’ve been fascinated by this photo for years, part ly because of its candid nature, but also because of the fact that President Lincoln appears to be holding a book involving an interrupted thought, or an interrupted situation in which he seems to be posing for the photograph between intervals. Now, it stands to reason that this could be an entirely manufactured scenario, but I also happen to like to think that the president, being a reputedly literate and bookish individual, was actually reading a book between shots and hamming it up with his youngest son Tad and it was captured by Mr. Gardner. But the thing that draws my eye the most isn’t the candid nature of his interaction with his son. It happens to be that index finger that so conspicuously holds a place in that hardback volume that sits in the presidents right hand. Sure there’s a haunted eyes, and the weatherworn face, and the Haggard look that bespeaks the accumulation of pressure from more from running the country… And possibly the unknowns that we’re to meet his future approximately two months later. But quite simply I just want to know one thing: what was the president reading, why was he reading it, and what was so compelling and the volume that size it was holding his interest in the midst of a photographic session? 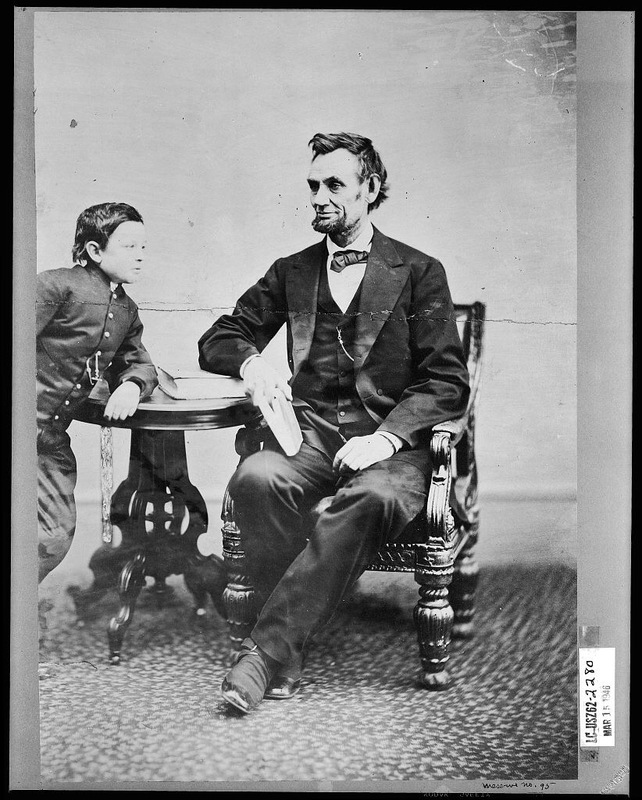 This entry was posted in Blogging, Reading, Uncategorized, Writing and tagged abraham lincoln. Bookmark the permalink.